On March 19, 2019, I traveled on a small bus to Albany, NY with 20 tipped workers. Most of them were Black and Latino women in their early 20s, who have been working for tips to support themselves and put food on the table for their families. We left Manhattan before sunrise so we would arrive at the State Capitol on time for a rally with several legislators. The excitement on the bus was palpable, as the workers chanted “One Fair Wage! One Fair Wage!” a policy that we support to give full minimum wage plus tips for all the tipped workers in the state. Today, as we honor Cesar Chavez Day, which is observed throughout the country on the 95th birth date of the late founder of the United Farm Workers Union, I can see why the unfair working conditions on grape farms in California nearly 55 years ago still resemble those that exist today among tipped workers in New York. 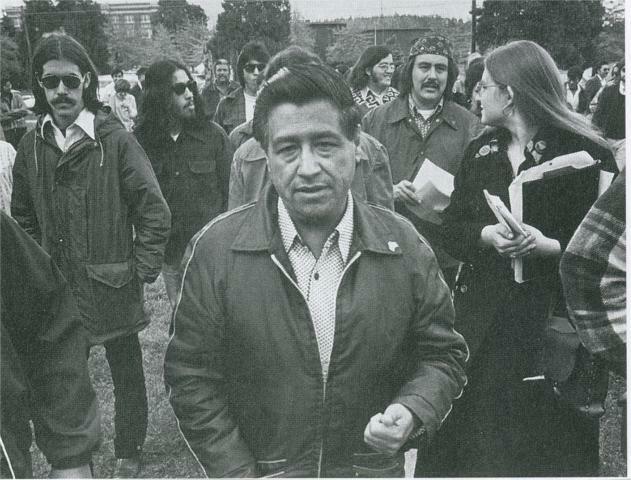 Chavez led the 1965 grape strike of farmworkers to demand an increase in pay from $1.25 an hour to $1.40. Restaurant workers across America are still pushing to raise the federal minimum wage for tipped workers, which has been stuck at $2.13 since 1991. In New York, the rate for tipped workers at $7.50 an hour has not changed since 2017, while the state minimum wage has gone up to $15. Recent studies show that tipped workers in New York—majority of them are women, people of color and immigrants—not only experience poverty and rely on public benefits at a higher rate than those covered by the full minimum wage, but are also more likely to experience hardships such as relying on food pantries and housing instability. Twenty-eight percent of tipped workers received Medicaid, compared to 18 percent of non-tipped employees, according to a Community Service Society report. Nearly four out of every 10 tipped workers in New York City experienced three or more serious hardships in the past year, compared to 21 percent of workers covered under the full minimum wage. Tipping is a legacy of slavery. Workers disproportionately impacted by a subminimum wage system are people of color and immigrants. Further studies reveal that African American and Latino workers are often tipped less than their white counterparts. The tipping system is not only bad for workers and customers, but it also harms the economy when employers pass the cost of a living wage entirely on their customers. And when workers’ primary source of income relies on the whims of customers, it perpetuates an environment that has notoriously high rates of sexual harassment and wage theft. I have seen tipped restaurant workers, mainly supported by the Restaurant Workers of America, being pressured into publicly proclaiming that they prefer to continue to receive a subminimum wage and rely mainly on tips for their income. These workers, who organize a fake grassroots campaign for RWA so that its members can skirt employment obligations, such as full minimum wage and benefits, to their workers, do not represent the majority of tipped workers who struggle every day to make ends meet. It has been more than a year since Gov. Andrew Cuomo directed the Department of Labor to examine enacting One Fair Wage policy, which seven states have already done. These states have half the rates of sexual harassment and significantly less wage theft. Cuomo has the authority to change the tipped wage through regulations without any action from the legislature. But tipped workers are still awaiting on what he had promised. Like the grape farmworkers that Chavez organized, tipped workers in New York are tired of being treated like leftovers on the plates that they clean up. Tired of getting ripped off and working 60 hours a week to compensate for their meager wages. Tired of seeing their mothers, sisters and friends getting abused and harassed. Chavez once said, “The fight is never about grapes or lettuce. It’s always about people.” It’s time for Gov. Cuomo to pass One Fair Wage and treat tipped workers with respect and dignity. Anthony Advincula is the public affairs officer of Restaurant Opportunities Centers (ROC) United.